Chico Muya is a Durban based singer-songwriter who is described most often by the warmth of his smile. Chico was born in the DRC, arriving in South Africa at the tender age of 3 years, with his family. It wasn't until after high school that he realised music was his passion. In 2014, he was convinced it was time to take a leap of faith, so he dropped everything and decided to take the nerve racking journey of being a full-time musician. The likes of Ed Sheeran, George Ezra and Labryinth, kept him inspired in times when giving up seemed like the most logical decision. Chico embodies the laid back, warm and uniquely easy-going flavour that the city of Durban has to offer. His songs are catchy, melodic and warm, and his personality shines through each one of them. His sound is an exciting mix of acoustic folk and pop that is guaranteed to get your feet tapping, and your heart smiling. Last year Chico released his first single called 'Two Roads'. The song made it onto East Coast Radio, where it was incredibly well received by the KZN audience. Having recently teamed up with bassist Spencer-Rae Kerr at the beginning of 2016, 'Chico Muya' no longer represents just Chico himself, but the two artists together. The duo have been creating quite a stir in Durban, most notably when they opened for the Parlotones at the Durban Botanical Gardens. An EP has been in the works for the last 6/7 months and will be ready for release on the 15th November 2016. Having partnered with an amazing producer, who understands their unique style, the excitement for the release of the EP is steadily rising. including Splashy Fen, Smoking Dragon, White Mountain, Zakifo and the Ballito Pro. 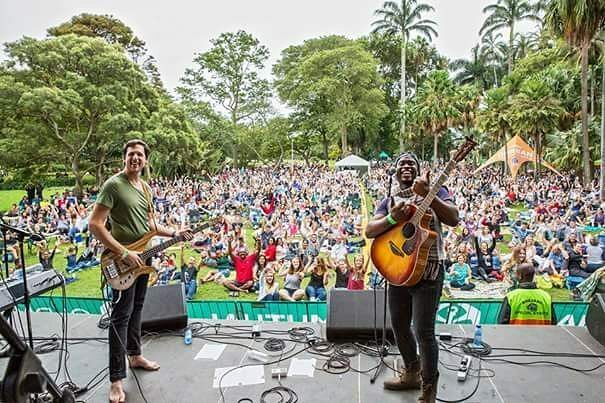 They've shared the stage with some of South Africa’s most well known bands, including: Jeremy Loops, Gangs of Ballet, Monark, the Parlotones, Desmond and the Tutu's and Shortstraw. 'Chico Muya' are a duo with raw talent and electric personality. They are taking South Africa by storm!